Does Head, Neck Or Shoulder Pain Leave You Triggered? Pain syndromes are often associated with the neck muscles that relate to neck and shoulder aches as well as headaches. Trigger points are often involved in these areas and are associated with a number of specific causes, however, many pain syndromes are what is termed non-specific. Involvement of tender areas in the muscles can form a cycle of chronic pain. This is often due to poor postural adaptation and recovery from injuries, leaving one triggered as tense muscles with local and referred pain form a chronic, stressful and painful situation. Trigger points are a manifestation of what is called myofascial pain syndrome. Although not well understood, the term comes from the muscle (myo) and it’s surrounding layer of connective tissue (fascia), which both contribute to pain syndromes. Trigger points are small areas of focal irritation that can be actively causing local pain as well as referred pain or pain radiating to other locations. Previously, terms such as fibrositis, implying the connective tissue surrounding the muscle to be inflamed, and chronic muscle pain were used. Many people experience muscle pain as a result strain, tension, overuse and injury. This pain often resolves in week or two without the need for treatment. There are cases, however, where the pain continues and becomes a chronic pain disorder, which requires intervention to get it resolved. 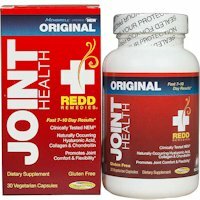 There are many treatments for those who are triggered by these chronic muscle irritations. Massage, pressure therapy, acupuncture, injections, topicals and stretching have all been shown to help. A 2014 study in the Journal of Manipulative & Physiological Therapeutics showed that for women with chronic neck pain, classical massage was effective for muscle relaxation, but connective tissue massage was better at reducing the pressure of pain. 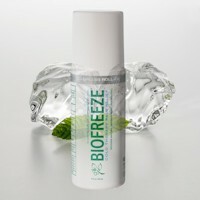 So, treating the muscle and it’s covering is a great method to reduce pain and relax muscles. A 2016 study in the Journal of Physical Therapy Science found that adding connective tissue massage (soft tissue mobilization) to manual therapy treatment was more effective than exercise for reducing shoulder pain in office workers. Treatment was directed to muscles of the neck and upper shoulders; the splenius capitis and trapezius muscles. A 2016 study in the American Journal of Physical Medicine & Rehabilitation found that there was a relationship between active trigger points in the head, neck & shoulders with forward head posture and loss of neck curve in women with migraine headaches. 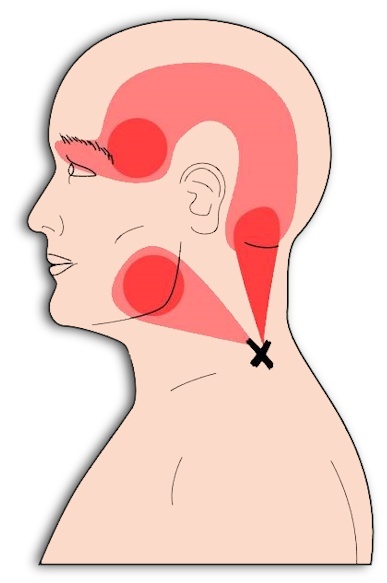 A 2007 study in the Clinical Journal of Pain found that trigger points are very prevalent in patients with chronic tension-type headaches in both number and pain intensity. As the neck is the gateway between the head and shoulders, it is common to find areas of triggered neck muscles referring pain and wreaking havoc on posture, headaches and shoulder pain. Massage therapy techniques are numerous and consist of manipulating soft tissues using pressure and traction. Another method is often used to treat trigger points is ischemic compression. In a 2015 review in the American Journal of Physical Medicine & Rehabilitation ischemic compression is recommended in the treatment of neck pain with trigger points in the upper trapezius muscle. A 2014 study in Complementary Therapies In Clinical Practice, it was found that massage, especially with moderate pressure, was effective at reducing pain and increasing motion in those suffering from neck arthritis. Efforts were made to have weekly massages supplemented by patients doing self massage in-between sessions to sustain the effects as a cost effective therapy for those with neck arthritis pain. 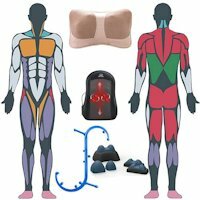 There is nothing like professional help, however, with the advent of new muscle therapy tools, it has become inexpensive and easy to use techniques to treat your own triggered muscles. Using leverage, pressure, motion and traction, along with a topical analgesic means you don’t have to be triggered with head, neck and shoulder pain.